Will Neil Gaiman's Sandman Finally Be Coming To Film Or TV? With Terry Gilliam? Or Is It All Just A Dream? 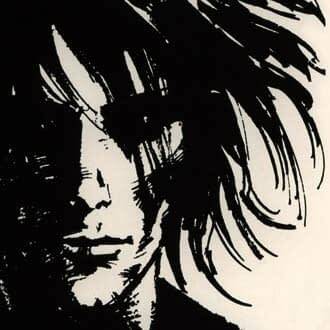 Home » Film » Will Neil Gaiman’s Sandman Finally Be Coming To Film Or TV? With Terry Gilliam? Or Is It All Just A Dream? Will Neil Gaiman’s Sandman Finally Be Coming To Film Or TV? With Terry Gilliam? Or Is It All Just A Dream? For a while now Neil Gaiman and Terry Gilliam have been teasing that there’s something secret in the works, a project that tangles the two of them together, somehow. The widest, and nicest assumption, I think, was that they’re preparing for another attempt at filming Gaiman and Terry Pratchett’s novel, Good Omens. Seems to make sense, perhaps, as Gilliam had been attached to direct a Good Omens movie before, it just seems likely that he’d still want to try. Even though, if we’re being suitably critical of the idea, there’s plenty of evidence that Good Omens has been moving ahead as a TV project with Monty Python‘s other Terry instead. Is there any room for Gilliam as well as Jones in that picture? Maybe, maybe not. So, while it’s not impossible that Gaiman and Gilliam are working on getting Good Omens together, it’s certainly not the only explanation for their meetings. Consider some circumstantial evidence from Gaiman’s twitter feed. “Very interesting” because Gaiman sees this as a satisfying, attractive possibility? Or because it’s the first hint we have that maybe, sooner on later, DC Entertainment will be pushing into another Sandman adaptation? Let’s also note that “Very interesting” wasn’t even in Gaiman’s own words. Just signed a Non Disclosure Agreement on a plane in order to stop me talking about the cool thing I am going to do. Pretend I said nothing. I am now following @TheOddGentlemen. One day this may be important. The Odd Gentlemen are video game designers, so maybe there’s more info to come, and Gaiman’s secret pertains to something rather more interactive than normal. Or, you know, perhaps there’s a lot going on in Gaiman’s world, as usual, and he has one project with Gilliam, one with The Odd Gentlemen, some other big gig that required an NDA, and is just excited that DC Entertainment consider The Sandman a hot property. That’s probably real life, when we’re awake and we have our eyes open. Can you blame me for dreaming a little, though?